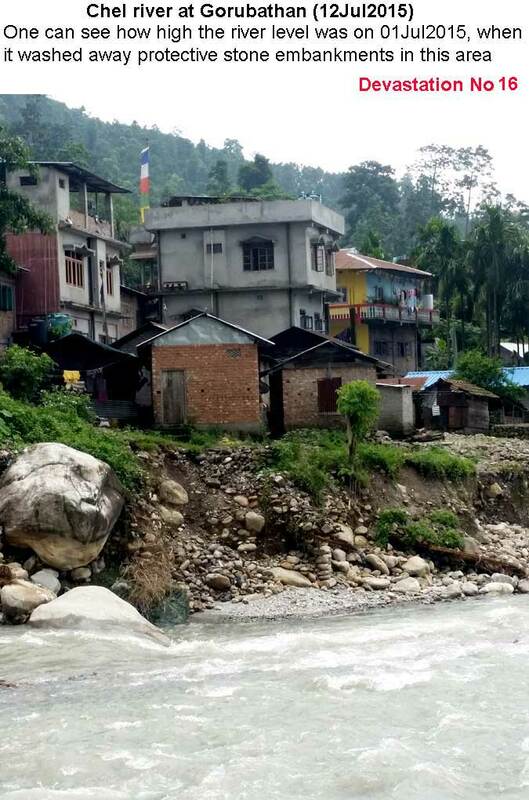 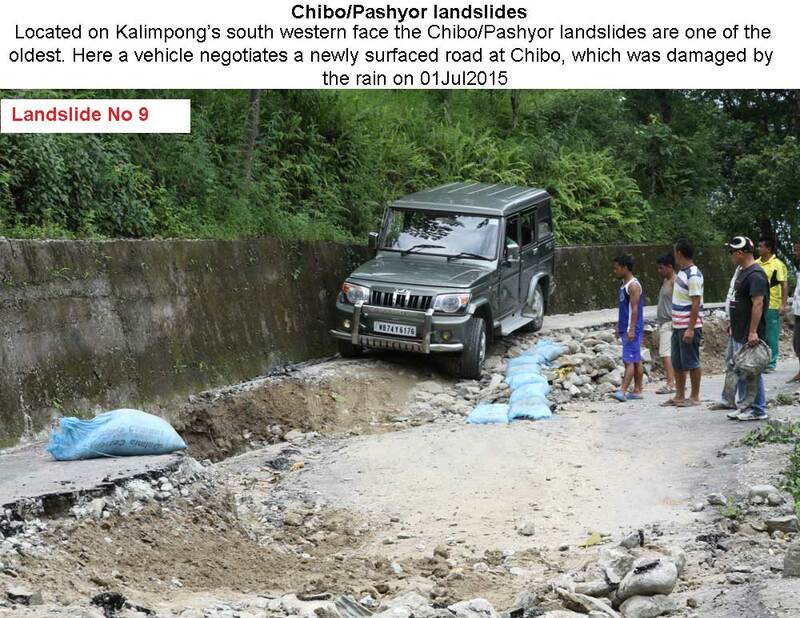 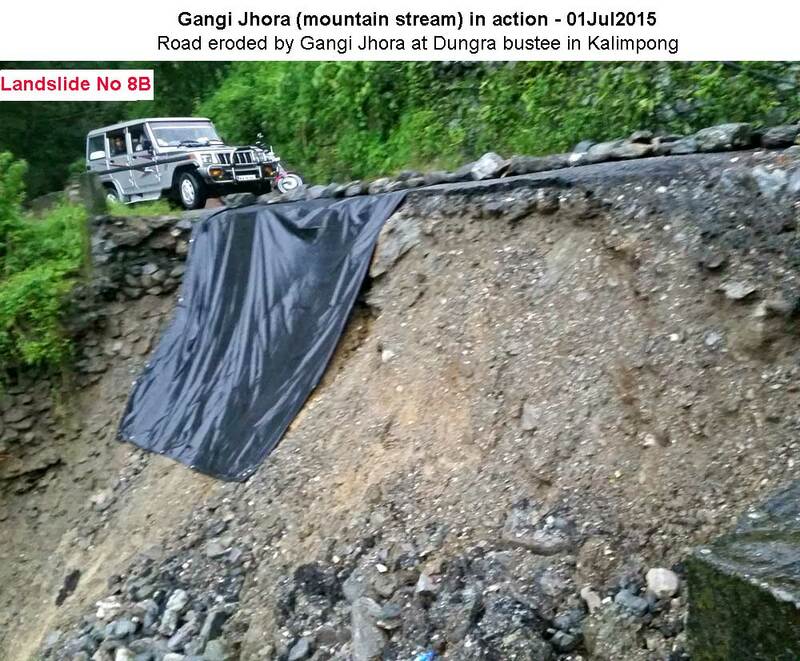 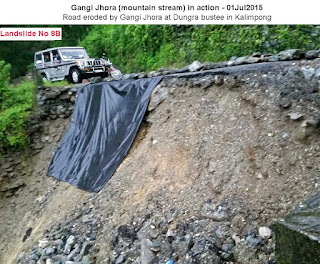 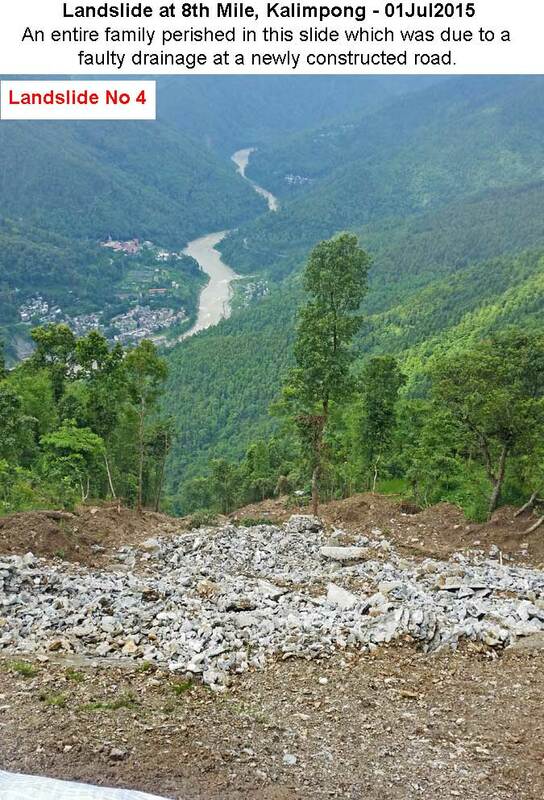 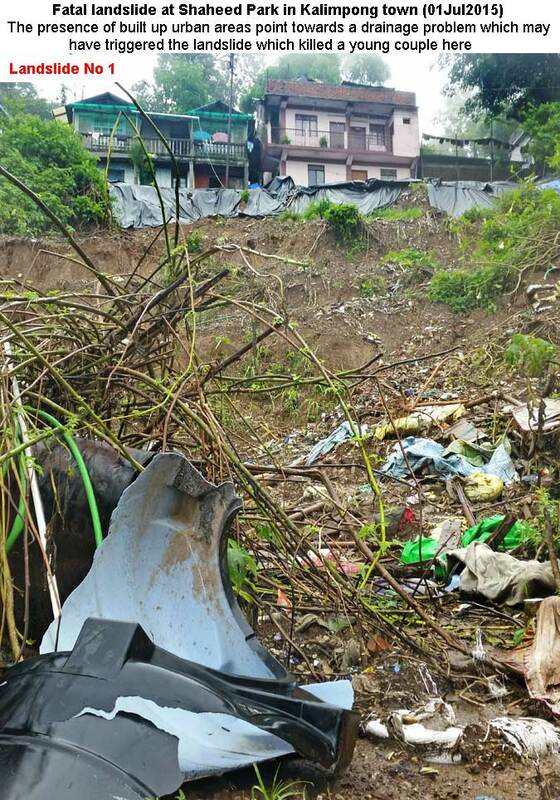 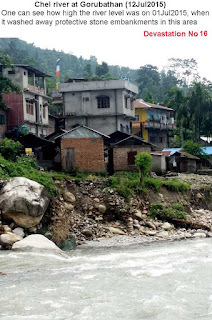 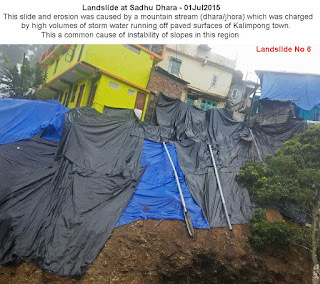 On 30Jun/01July2015 torrential rains lashed Kalimpong dumping 227mm of rain in a 8hr period. 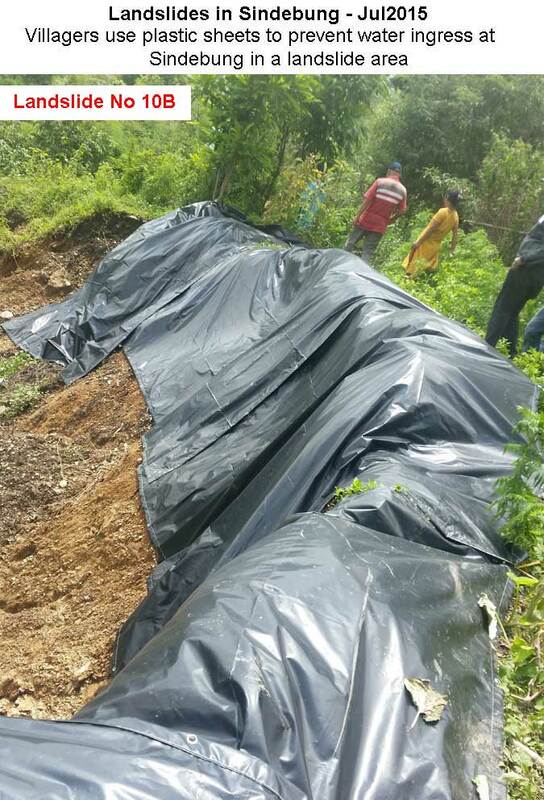 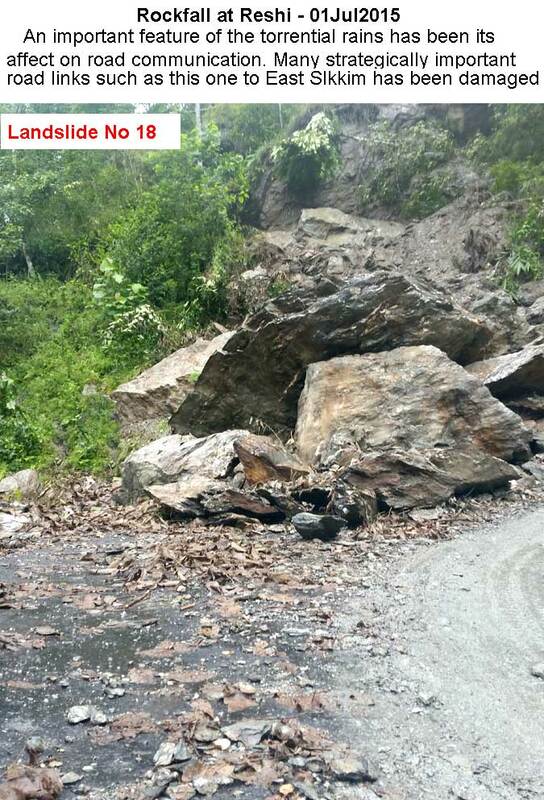 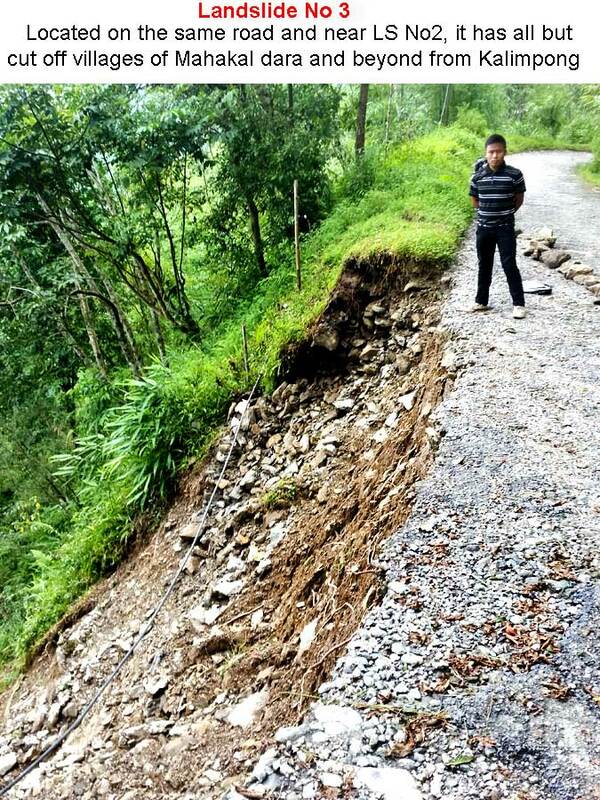 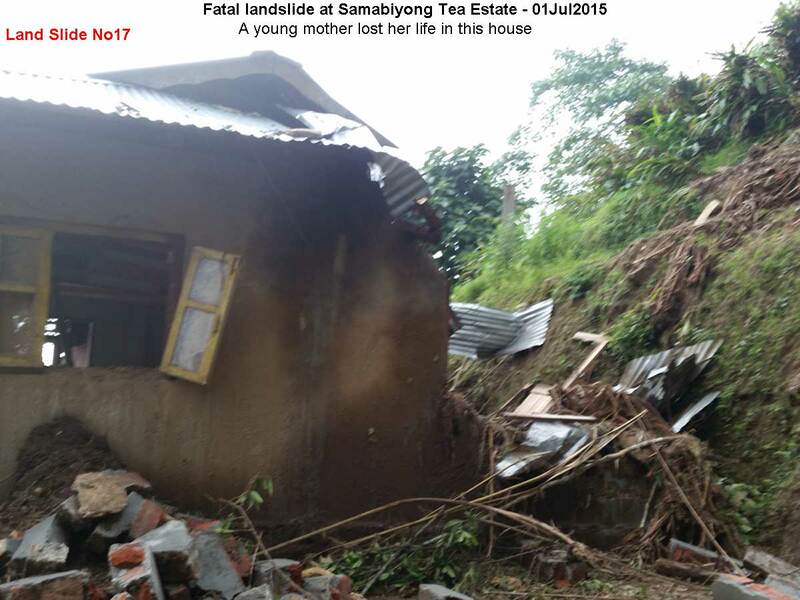 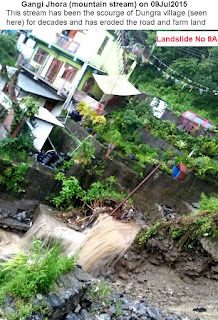 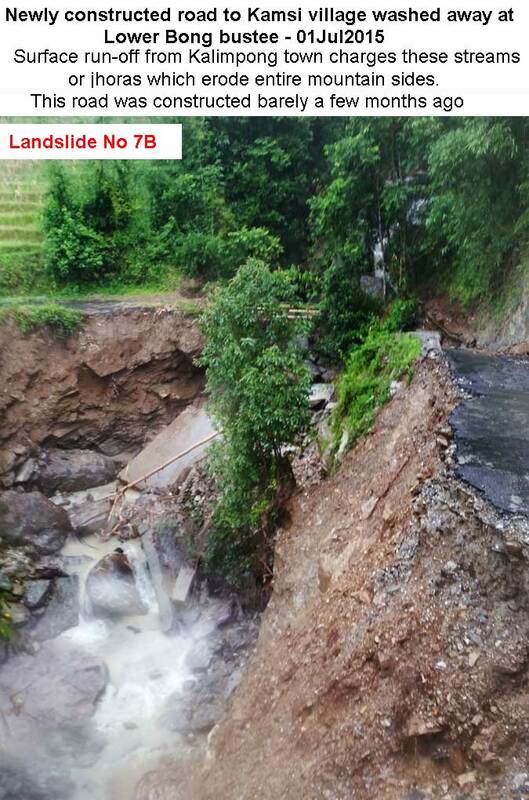 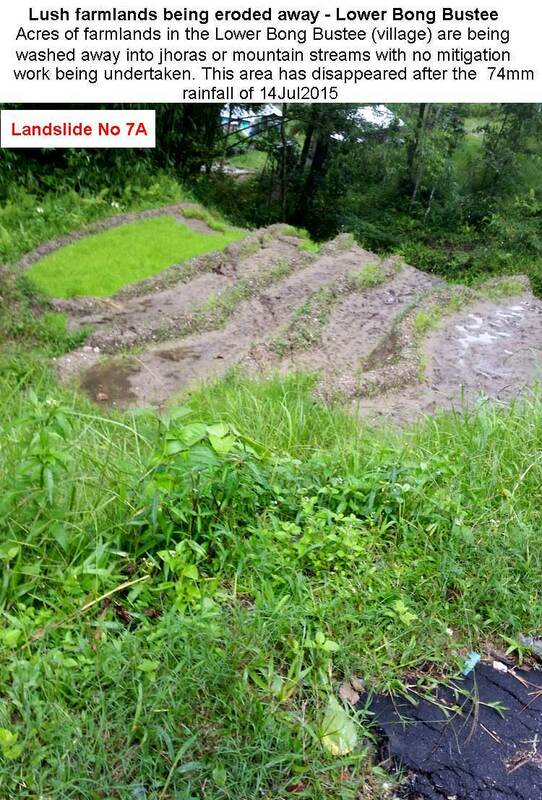 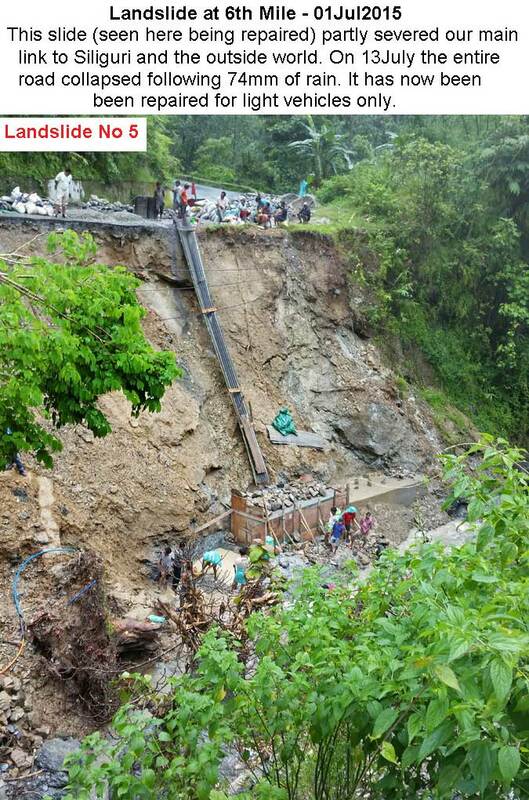 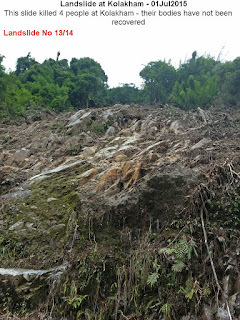 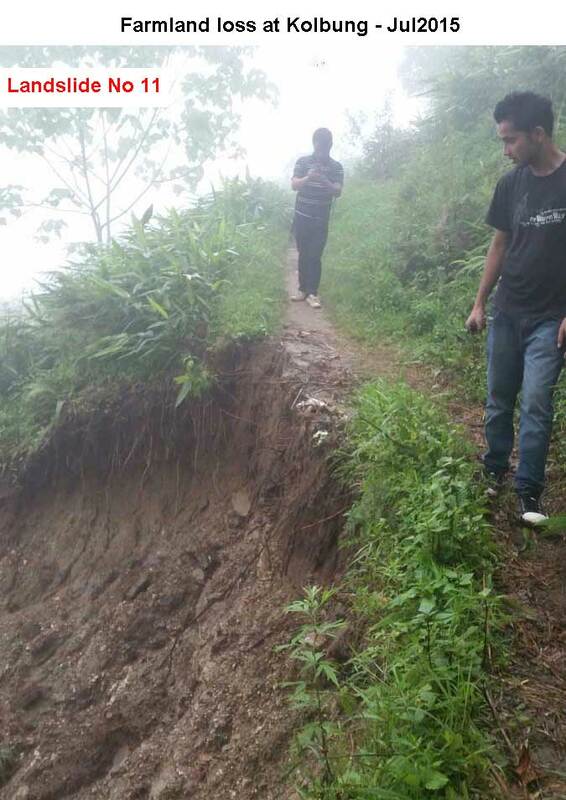 This triggered numerous landslides both within the municipal limits and in the sub-division. 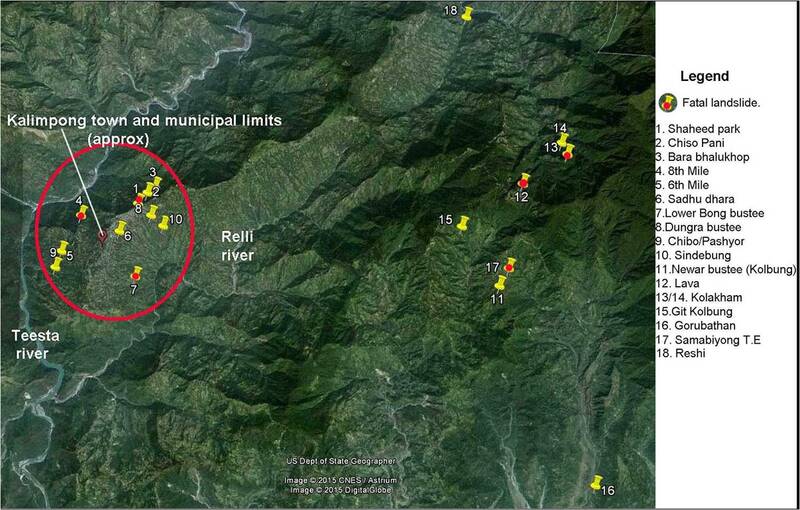 STH did a survey of some of the affected areas which are indicated on the map above. 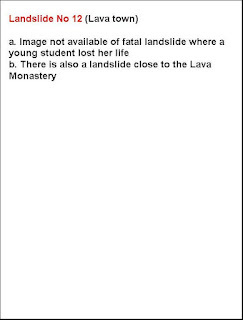 Images from the areas are placed below. 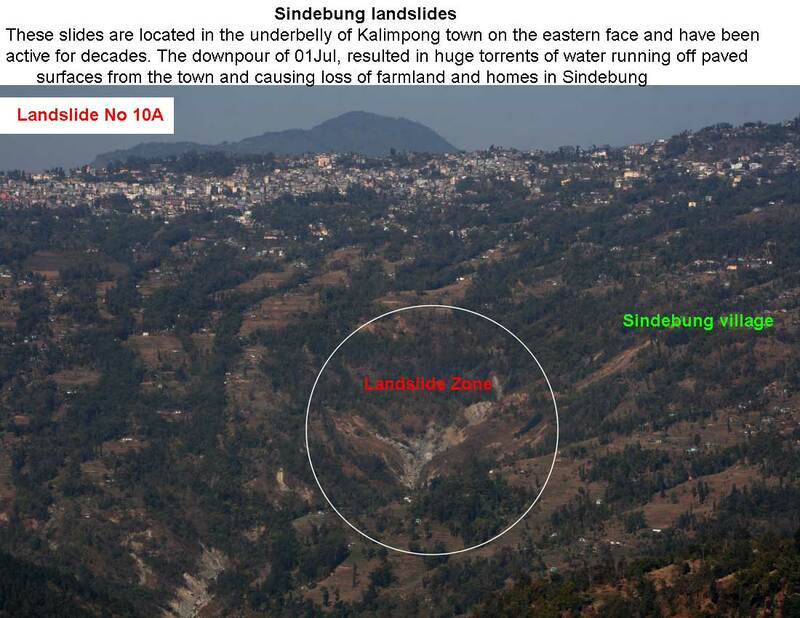 As per the GSI, the Darjeeling- Sikkim Himalaya is one of the most landslide prone areas in the country and as per Dr David Petley, this area also is one of the global hotspots for fatal landslides. 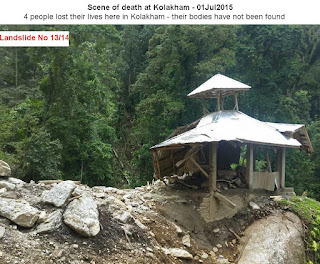 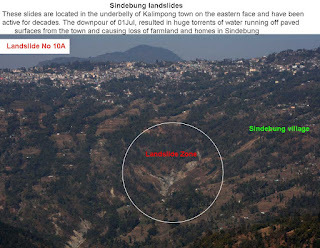 SaveTheHills (STH) has, in this blog, over the years tried to maintain a historical record of this disaster form which has not received due recognition the world over so as to offer undeniable proof of a scourge which is growing worse in this region as human interference in the mountains increases. 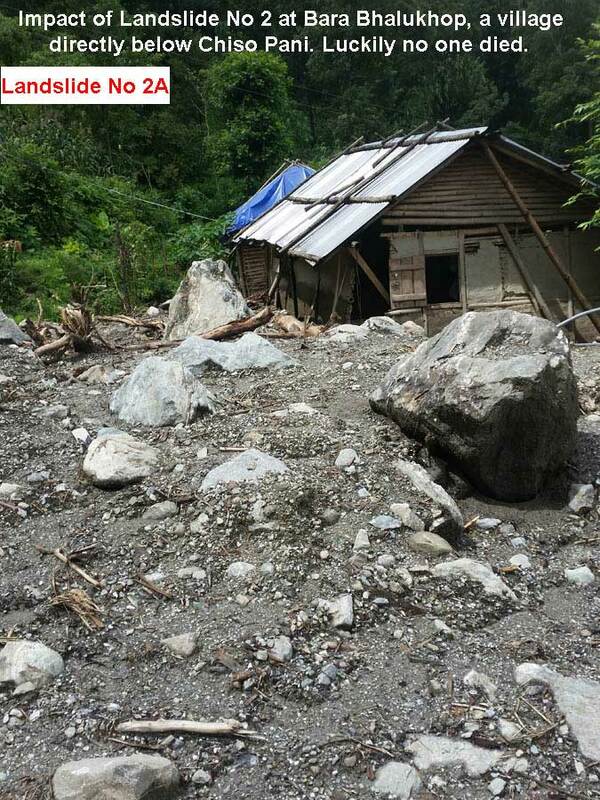 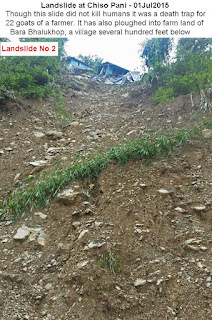 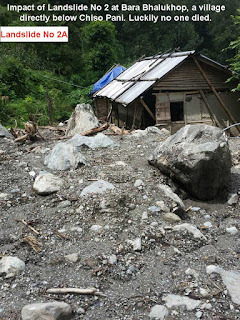 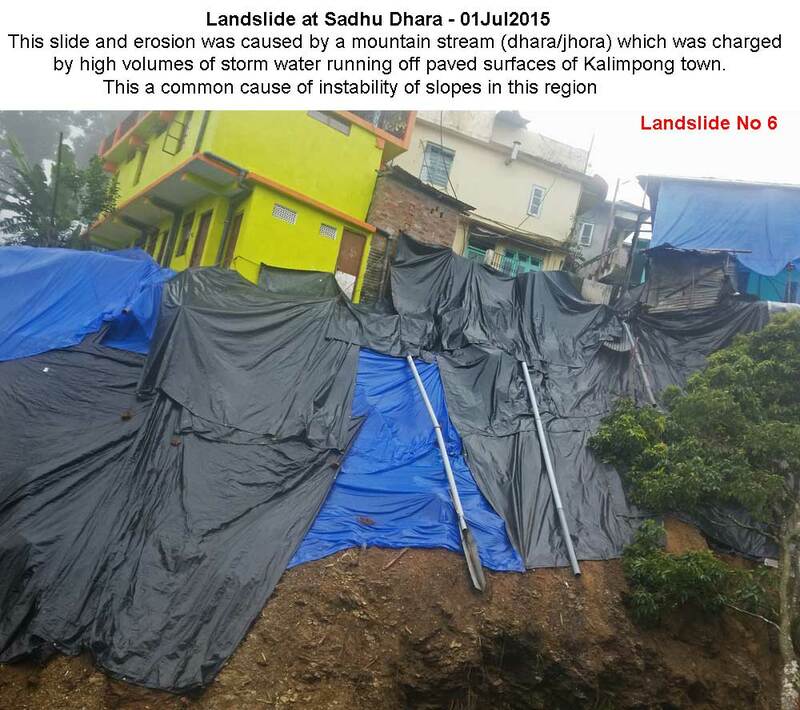 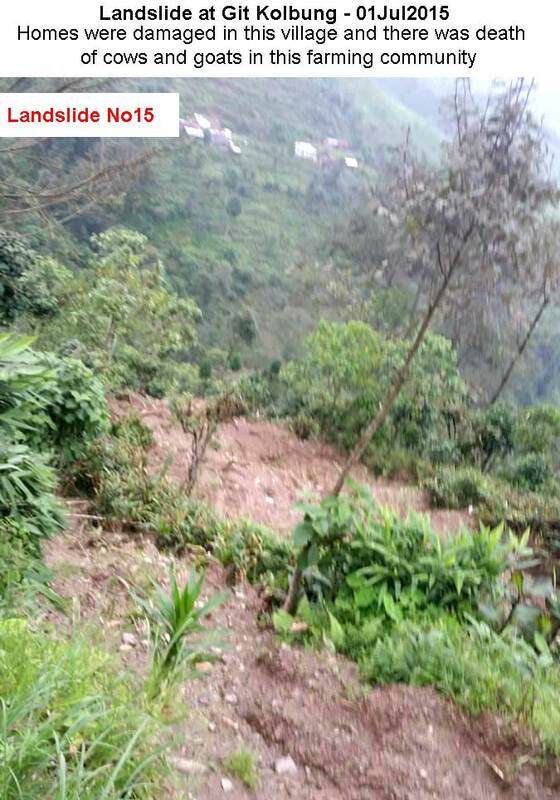 In July2015, after 3 yrs of low landslide activity, we are witnessing a spurt in the number of landslides in Darjeeling district (esp in Kalimpong and Mirik) due to erratic and intense rainfall. 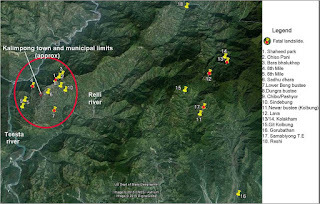 Rainfall records for Kalimpong and this region are placed here ( 1 and 2 ). 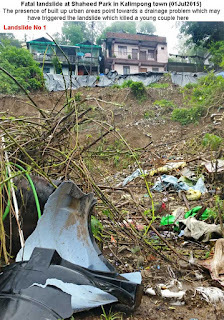 What is also clear is almost all the fatalities especially in urban or semi-urban settings are the result of poor or non-existent drainage. Respected Sir, I am a research scholar from North Bengal University. 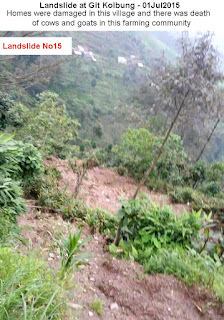 I am working on Disaster Management in Darjeeling Himalaya. 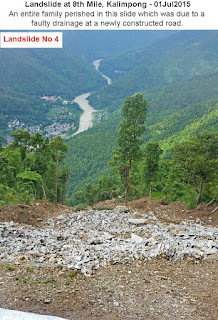 Hence Sir I would be really grateful to you if you kindly help me to locate the disaster prone areas of Kalimpong though I have completed my primary survey at Kalijhora and Reang. Thank You.